The Swan has several variations. Instead of focusing on how “big” your Swan is, focus on how long your Swan is! That is where you will find the strength! 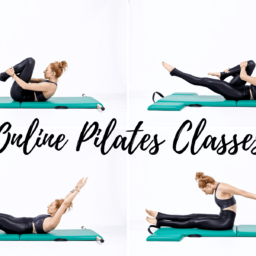 Back extension is incredibly important in the Pilates Mat work. But, as you will see in the Swan on the Mat it is not about how far "back" you go but how long you can get! Focus more on how long you can maintain your lower back, fight against gravity with your center and how far you can pull your heart forward. The Swan has several variations so pick the one that is right for you today. And, instead of focusing on how "big" your Swan is focus on how long your Swan is! That is where you will find the strength! Press your hands down and energetically back, pull your heart forward. Laying on your stomach with your hands on the handles of your mat in line with your shoulders, or, if you do not have handles, place your hands under your shoulders. Reach your lower back long. I like to do this by pressing my pubic bone toward the mat and lifting my lower abdominals up or you can reach your tailbone for your heels. Then, without hiking your shoulders up or leaving your stomach behind, begin to do the Swan prep. Press your hands down and back energetically and pull your heart forward. Lengthen as you lower down. Repeat 2-3 times. If that is going well, you can add the "drop catch" version in. Press your hands down and energetically back and pull your heart up and forward. Then reach your arms out wide rock forward as you lift your legs up. Place your hands back down and repeat 2-3 times. Or, instead of "catching" yourself go for the Dive! Press your hands down and energetically back, pull your heart up and forward. Reach your arms wide by your side and lift your legs up as you rock forward and your chest long and up as you rock back. Try to rock 2-3x, then sit back into a Joseph Pilates child's pose.